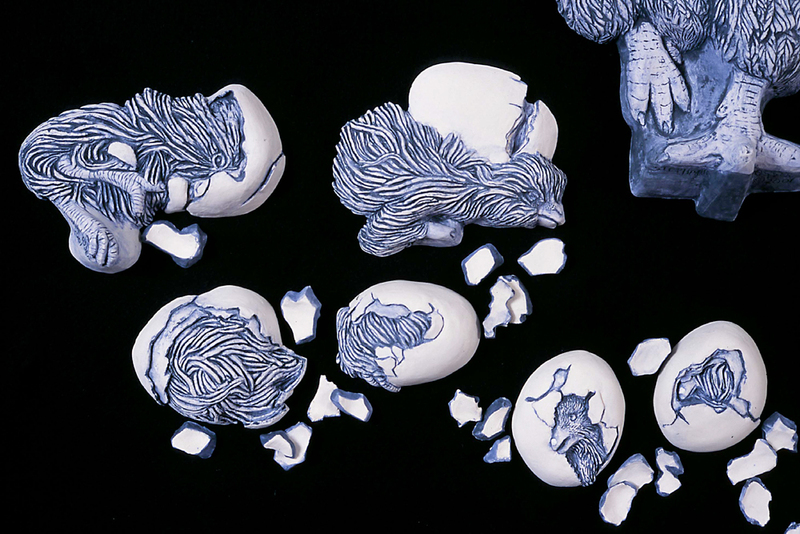 “All About Eggs” – This is my very first architectural ceramic composition, covering a wall space of approximately 5′ x 3′ x 3/4″. The hen house is made of 3 tiles that fit together. In front of this composition is a pedestal that holds 3 or 4 whole ceramic eggs, beginning to crack open, inviting the viewer in to the piece. The eggs on the pedestal are nestled on a piece of draped cloth. 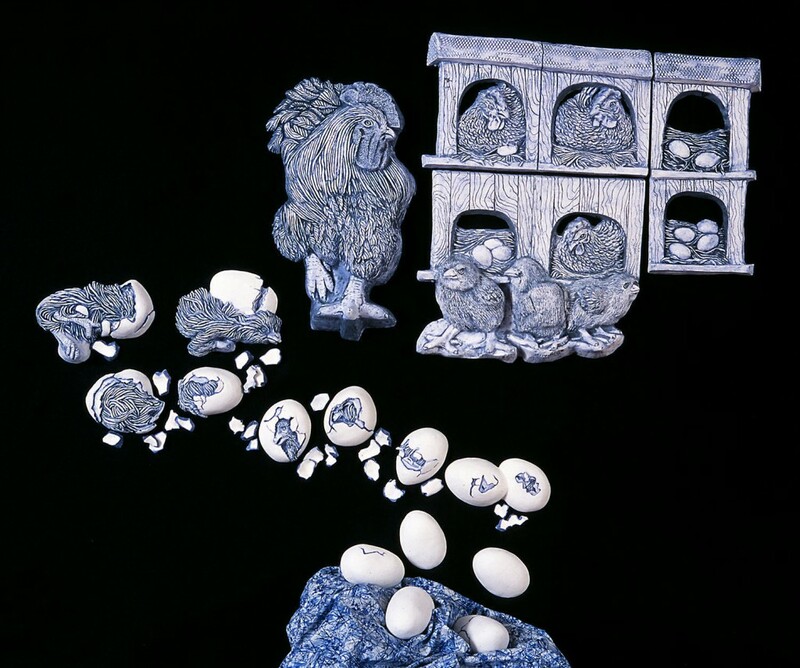 The chicks hatch out of their shells in 9 steps with ceramic eggshells scattered about them. All these pieces have mounting holes on the back for easy hanging. 14 one-piece plaster molds were cast from the original carved in clay composition. I can reproduce the entire piece with many variations in clay body and color. Each piece was cast with low fire white slip. Blue under glaze was painted into the line work. I don’t use shiny glaze for this to avoid glare.